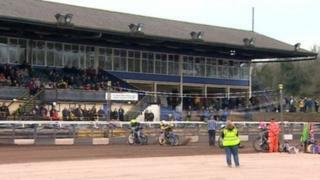 On the eve of the new season, BBC Midlands Today's Nick Clitheroe reports on two long established names of local speedway and their frustrating battle to be rehoused. Coventry have to leave Brandon, their home since 1928, as the site has been sold for housing development. And National League side Cradley Heath, giants of the sport in the 1980s before slipping off track, are still looking for their own home six years on from reforming in 2010.